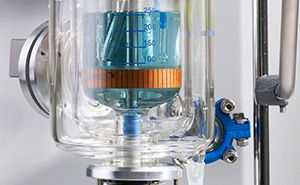 Automated synthesis reactors and controlled laboratory reactors replace traditional round bottom flasks or jacketed lab reactors. This allows chemical synthesis researchers to explore new reaction conditions and develop innovative chemistry. Engineers apply an advanced version of these automated laboratory reactor (ALR) systems to measure real time reaction calorimetry, heat of reaction, and thermodynamic data for process safety understanding and control. Unattended, fully automated sampling of chemical reactions, including slurries, enable chemists and engineers to gain samples throughout the reaction, providing valuable information. 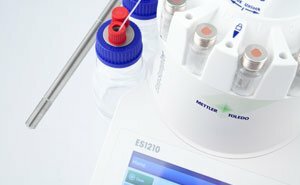 With the unique patented sampling probe, EasySampler quenches the sample at the point of sampling and at reaction conditions, proving a truly representative sample for accurate analytical data. 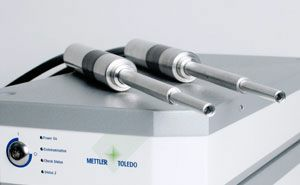 In situ reaction analysis with Attenuated Total Reflection (ATR) Fourier Transform Infrared (FTIR) spectrometers provide real time monitoring of key reaction species. By following reaction progression, initiation, conversion, intermediate formation and endpoints, these tools optimize process design and quality. Increased process knowledge from inline reaction analysis supports the development of batch or continuous flow chemistry and enables chemical reactions to be scaled-up. 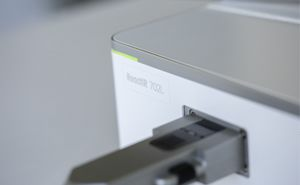 Inline particle size and shape analysis enables scientists and engineers to track the rate and degree of change to particles, crystals, or droplets as they naturally exist in process. By understanding how particles change in real time, engineers can track batch to batch consistency, detect endpoints, and optimize downstream throughput and product quality. 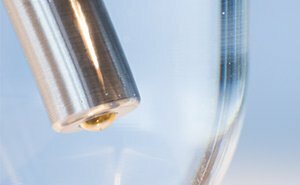 Our inline PAT technologies are probe-based instruments that track critical process parameters and quality attributes for Quality by Design (QbD) requirements. 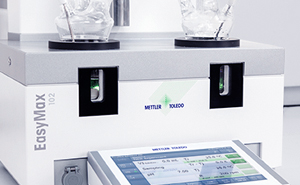 Lab PAT instruments help design a quality process. Plant PAT tools enable monitoring and control of a process. 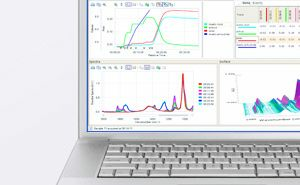 Integrated software enables researchers to combine all technology in a simple and powerful platform, which captures data, visualizes and interprets experiments, prepares and report results, and compares batches or experiments. Understand Kinetics, Crystallization, & Optimize Reaction Variables of Biphasic and Multiphasic Reactions.